Jim S. Forbis is a native North Carolinian and a graduate of Duke University, where he was a scholarship athlete. He entered the insurance business in Memphis in 1973 and founded Forbis Insurance in 1981. The firm continued to grow and expand its service capability to become Forbis Financial in 1983.
im has earned his CLU (Chartered Life Underwriter), ChFC (Chartered Financial Consultant), AIF (Accredited Investment Fiduciary), and CSA (Certified Senior Advisor) designations, in addition to receiving many industry and company awards. He is a life and qualifying member of the Million Dollar Round Table, as well as a member of Top of the Table, Forum 400 and The Pinnacle Study Group. Jim actively strives to make a difference in the lives of his clients and their communities. He is the founder of Make-A-Wish Foundation of the Mid-South and has served as a National Board Member and Officer of Make-A-Wish Foundation of America. In 1990, he was awarded the Volunteer of the Year Award for his involvement with Make-A-Wish. 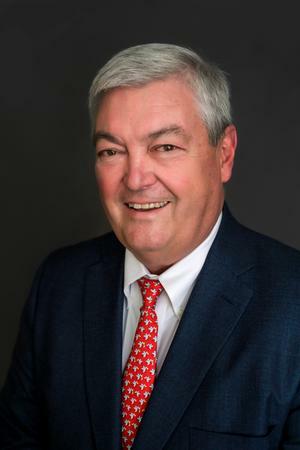 Most recently, Jim has had an active part in the establishment of The Methodist Health Care Residential Hospice for Memphis, Church Health Center, "The Way" and other charitable organizations in the surrounding area. In May of 2008, he became a member of Advisors in Philanthropy and completed the Renaissance Charitable Planning Workshop. He was awarded the Million Dollar Round Table Quality of Life Award on two seperate occasions for for his generous service to the local area and national charitable organizations. Family and spirituality are a high priority for Jim. He and his wife Ann share interest and involvement with sons, Jeremy and Will, and daughters, Katie and Sarah, that range from church and youth groups to athletics, hunting and fishing. Jim and Ann also enjoy special time with their grandchildren. Jim enjoys farm management and spends much of his leisure time on his Mississippi and South Carolina farms. Commitments to excellence and outstanding service have helped Jim build a solid and broadening client base. Referrals from clients continue to be the most productive method for his expanding service. Jim welcomes the opportunity to help others put together the building blocks for their financial goals. *The Million Dollar Round Table (MDRT) is a global, independent association of more than 43,000 of the world's leading life insurance and financial services professionals from more than 500 companies in 67 countries. MDRT members demonstrate exceptional professional knowledge, strict ethical conduct and outstanding client service. MDRT membership is recognized internationally as the standard of excellence in the life insurance and financial services business. The award is not indicative of future performance. Working with a Million Dollar Round Table professional is no guarantee of future investment success. Forum 400 -Applicants must qualify with $500,000 of annual personal financial services income produced in the previous year for regular membership status. Forum 400 also offers a Venture Candidate program for up-and-coming producers. Venture Candidate applicants must qualify with $250,000 of annual personal financial services income produced in the previous year. Accepted documentation types include tax returns, commission statements, and company broker/dealer income statements. There is a $1050 annual member fee for 2017.